We provide a commission service of original paintings through to prints and reproductions of these images. 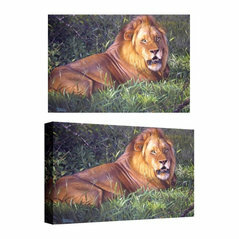 Garry's paintings are reproduced on many things including books toys and tableware. We carry stock of all published products. Garry's original works are sought after by collectors around the world. 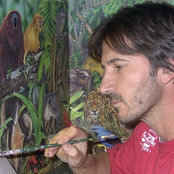 His prints, books and reproductions are sold in retailers across the US Asia, Europe and Australia. 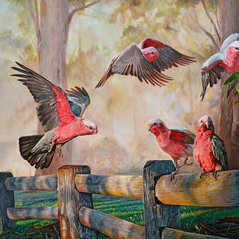 garry's work is easily identified renowned for his detailed painting of wildlife. Whitley award , Wilderness award, Royal Agricultural award. I commissioned a painting of a leopard for my living room. It was amazing and just looks spectacular!! I would recommend Garry for any type of painting commission.